The ground has been shaking, Israel is in the wrong again; the government of Israel has officially enshrined into basic law the obvious, that it is a Jewish State, with the right to self-determination. The global roar against Israel is almost unbearably loud. By now, many people have used their pens to explain the passing of the bill that granted constitutional status to Israel’s identity as the nation-state of the Jewish people. One is Moshe Koppel, a Professor of Computer Science at Bar-Ilan University, Israel who worked on the bill. For many years now, Israel has been undergoing a revolution. This revolution isn’t Bolshevik or ‘Jewish Spring’ in nature and the Israeli military isn’t attempting a coup; this revolution has been slow, over the past 70-years, more in the vein of trench warfare than revolution. All signs indicate that in Israel many of the state’s organs no longer heed the elected government and they follow only the commands of the alternative hegemony, headed by the Supreme Court of Israel. And Israel’s Supreme Court is just as interested in having the power to govern as in upholding the rule of law. The law includes a declaration that Israel is the nation-state of the Jewish people and a list of specific matters in which Israel’s Jewish character is reflected, including its flag, anthem, Hebrew calendar, Hebrew language, the ingathering of the Jews immigration and Jewish settlement policies, days of rest – Shabbat and Jewish Holidays – and connection to the Jewish diaspora. In short, the kind of ‘stuff’ common and exists in constitutions of democratic nation-states all over the world. The law does not include any rights or privileges reserved for individual Jews; it does not deny any rights or privileges to individual non-Jews. All Israelis, regardless of their ethnic background or religion, hold all the human and civil rights customarily accorded to citizens of free countries. The law does nothing to diminish those rights in any way. The law also does not address Judaism as a religion or the authorities of any Israeli religious institutions. So Why Is the Law Necessary? “This recognition by the United Nations of the right of the Jewish people to establish their independent State may not be revoked. It is, moreover, the self-evident right of the Jewish people to be a nation, as all other nations, in its own sovereign State. Since 1993, Israel’s exceedingly activist Supreme Court has used the Basic Law of ‘Human Dignity and Freedom’ to rule on the constitutionality of a variety of statutes and government policies involving Israel’s Jewish character; that includes laws regarding allocation of JNF (Jewish National Fund) land, the primacy of Hebrew as Israel’s spoken language, rights to residency and citizenship, draft deferments and stipends of yeshiva students, and commerce on Shabbat. In principle, these cases called for delicate balance between Israel’s democratic character and its Jewish character, but in fact no such balance was achieved, precisely because Israel’s Jewish character, unlike its democratic character, is not anchored in any basic law. The proposed law is intended to address this asymmetry and to encourage a more sophisticated legal discourse regarding the tension between universal and national considerations. The law also serves a secondary purpose in defining, for both internal and external consumption, what is – and is not – included in the definition of a Jewish nation-state. Why Does the Law Not Mention Equality, Democracy and Minority Rights? The short answer is that general human and civil rights are already included in the Basic Law. i.e. ‘Human Dignity and Freedom’; the purpose of this law is to define Israel’s Jewish character only. But that short answer only captures part of the truth. It would certainly have been appropriate for a law of this nature to include mentioning the equality of all citizens before the law, as well as the rights of minorities to maintain their own ethnicity. These were not included however, only because conservative lawmakers were afraid that such language would be abused by the activist Supreme Court Justices to undermine the rest of the law and to further compromise Israel’s Jewish character. Unfortunately, the Supreme Court’s record provides ample grounds for such fears. Suffice to say that those who cheered on the Court’s unilateral expansion of its own authority over the past 25 years can blame themselves for this unintended consequence. This law’s indirect intention is to mitigate Israel’s Supreme Court’s dangerous superiority and keep Israel democracy intact. The law is somewhat antidote to the Supreme Court lawlessness. An Upcoming Election and/or Populist Ploy? All members of the opposition in the Knesset, as well as two Druze members of the coalition, voted against the bill. Doesn’t this suggest that passage of the law is merely a populist political ploy of the ruling party and in anticipation of upcoming elections? Knowledge of historical background might show this in a broader perspective. As Professor Koppel explains, this bill was in the works for a long time, beginning well before Israel’s current administration. 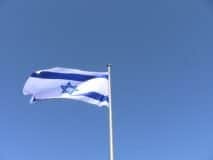 The first version of the bill was a draft chapter for the constitutional discussions in the Constitution and Law Committee of the Knesset in 2004. This chapter was expanded and incorporated into two subsequent private constitutional proposals, and then the Institute for Zionist Strategies reworked it into a proposed Basic Law; in August 2011 Member of Knesset (MK) Avi Dichter, then one of the heads of the centrist Kadima party, put the final draft on the Knesset’s table to be ultimately adapted. At that time the Bill was co-sponsored by 37 MKs, including two thirds of Kadima Party members. The bill didn’t pass then but every couple of years it popped up until it finally passed. It is noteworthy that among the co-sponsors of the 2011 version were current opposition MK Yoel Hasson, one of the most vociferous opponents of the 2018 version, and Yisrael Beiteinu MK Hamed Amar, who just petitioned the Court to rule the new law unconstitutional. Given that some of the law’s bitterest opponents previously co-sponsored it, it might be more precise to say that the bill was *opposed* for narrow partisan reasons. The differences between MK Dichter’s 2011 bill and the version that finally passed are not very significant; the most, part the final version is a slightly watered-down version of the 2011 version. The Basic Bill passed into law only strengthens Israel’s already existing Jewish character. If one feels that there is a gap in the rights of non-Jews in Israel that needs to be filled, then they should campaign for a Basic Law that adds the protections they think is missing but necessary. Doing so is more likely to build a consensus, rather than attacking the Jewish nature of the Jewish state and the passing of this law, which appears to be political and the ongoing campaign to smear Israel in any way possible. The nation law – now enshrined as Israel’s basic law – has changed nothing that was the obvious from the day Israel declared her independence, in 1948. But when it comes to Jews, the obvious better remain obscure; the Galut-life in exile mentality to stay under the radar, as it was for the past 70 years, is what erupted the tremor. But when the obscure, but obvious, lifts its head and declares it is no longer the hidden obvious, divisive war starts, its base is carelessness and foolishness. Same with Jerusalem, the capital of Israel. So long that Jerusalem acted the obscure capital of Israel all was going well; when President Donald Trump took the obscure and made it obvious, by moving the USA embassy from Tel-Aviv to Jerusalem, the sky nearly fell. The Israeli nation-state bill speaks of the “cultural, historical and religious legacy of the Jewish people” and of Jewish “religious” self-determination; unlike the Arab-Islamic constitutions it does not define Judaism as the official religion of the state. Controversy? Not at All. Hypocrisy It Is. The definition of a controversial issue is one that the Left disagrees with. And so, if Israel’s nation-state bill is controversial, then how come the PLO’s basic law, the constitutions of Jordan, Egypt, Syria and nearly every Arab and Muslim country in the world and many other sovereign countries’ constitutions are not controversial? Much of the fury and outrage is coming from anti-Israel-Left leaders and groups pretending to be pro-Israel, sentiments that have been wearing very thin at times when Israel shows the courage of its convictions. It is the American Jewish Committee (AJC), it is Rick Jacobs, the anti-Israel leader of the Union for Reform Judaism, it is the Jewish Council for Public Affairs (JCPA) that either stand idly by when their voice is needed the most or incite against Israel’s truth. For a fake and feckless Jewish organization, Israel being a Jewish State is the scariest thing of all. Establishment groups that have spent oodles of funds in generational time peddling Lefty policy ideas to the clueless, by calling themselves “Jewish” are deeply threatened by the existence of a Jewish State Basic Law. To them the “J” part, the Jewish part, is no longer merely a brand one can explain in 1000 ways, but now has to be a meaningful identity. Nothing threatens a scam artist like the truth. Israel, not just an idea but in reality formally declared nation state of the Jews, has always threatened the scam artists of the Left who peddle a redacted and warped Jewish history. Their Socialism ‘Tikkun Olam’ and their messianic red flag is the enemy of the entire free world. It is ironic and pathetic to see the clamor and the, “controversial,” “divisive” and “unnecessary” talking points. After all Israel’s nation-state bill, now basic law, is mostly symbolic; it was just getting above the Sha-Shtil obscurity mentality Jews cannot depart from. 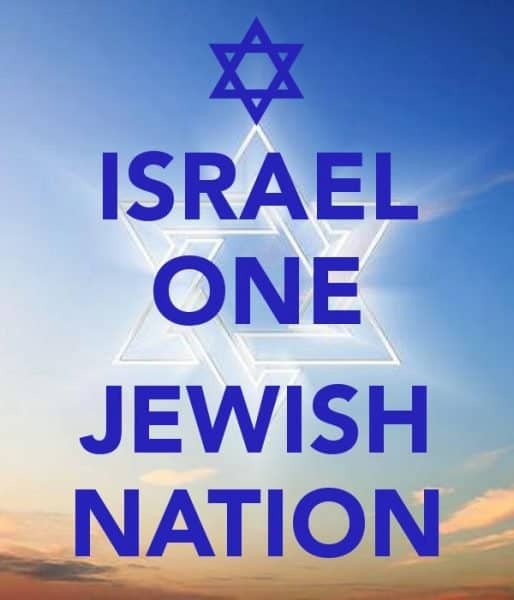 Now enshrined as Basic Law does not discriminate anyone, rather it finally makes a very clear statement, Israel’s nature in Jewish; it is the Jewish Nation’s Statehood recitation, nothing to do with the Jewish religion. And it’s that Israel is a Jewish State statement that has blown like a fierce desert sand storm through the houses of cards of individuals and establishment that view Jewishness as a brand rather than a commitment. It is easy to find Jews and Jewish organizations that will sign letters for every Lefty cause. Rarely, if ever, will these organizations stand up for a Jewish cause, even if the cause has absolutely nothing to do with Israel. Israel’s existence, the fake “Palestinians” who matter more than Israel, the two-state dis[solution] disastrous idea, and all the rest of the subjects that cause tremendous harm to Israel were never the issue, never controversial. Jewishness is. The only people who are afraid of a Jewish State are those who wake up every morning praying that the Jewish State will be destroyed. i.e., Iran, Turkey. Also those who either hate Jews and/or hate being Jewish. As for the Druze community in Israel, its members count 130,000, that in 1951 signed an agreement with then Israel’s Prime Minister David Ben-Gurion to be loyal to the Jewish State and serve in the military, just as the Jews serve, in exchange for all of citizen’s rights and obligations, you have forgotten your commitment if you protest the law. Nothing has changed for you, Druze. After all, till now you had no problem to wave, with pride, the flag of Israel and Israel’s anthem, Hatikvah, sound did not hurt your ears. An Israeli Druze community depends on a strong Jewish State and if ignored, your quality of life will diminish to the like of the Druze in Syria and Lebanon! In his resignation letter to Prime Minister Benjamin Netanyahu, Captain Amir Jamall, 23, an Israeli Druze serving as IDF company commander, expressed his strong objection to Israel being the Nation-State of the Jewish People, a.k.a. the Nationality Law that passed. Jamall feels that with the law he has become a second class citizen. WRONG. Nothing has changed for him and his Druze community in Israel. Sunni Muslim ISIS regard the Druze, estimated at 3% of Syria’s pre-war population heretics. It will serve Jamall well to read the recent news from Sweida, southern Syria, where ISIS just did what it does best, killed more than 250 Druze villagers and kidnapped dozens of Druze women and children. It is also worth noting that Syria’s Druze once enjoyed a pact with the Syrian government that was very similar to their pact with Israel. There was just one problem in Syria: President Bashar al-Assad, whose army has lost hundreds of thousands of soldiers this past five years of the civil war in his country, is finding it difficult to maintain control over the newly won territories along Israel’s Golan Heights border. The Syrian army can’t recruit the local Sunni Muslims, because as soon as they would be armed they will most likely turn their weapons against the Assad government. Which leaves the Druze the focal point. A Syrian delegation recently met with Druze dignitaries in southern Syria, asking them to enlist in the Syrian national army, as they used to do. The Druze refused to cooperate. They also rejected a Russian delegation that asked them for the same favor – send their sons to join the Assad army. In retaliation, the Syrians and the Russians removed their forces that separated between the ISIS contingency and the Druze villages in southern Syria – which was followed by the massacre by ISIS. This reflective lesson should not be lost on the Israeli Druze community who enjoy a prominent status in the hearts of the Jewish people, and though a non-Jewish minority are seen equal among equals. Although, for refusing to serve in the army the Druze in Israel would not be penalized in the Syrian-fashion and their Israeli protection would/could be removed, the Druze as well as the Christians and the Muslims minorities living in Israel must understand one crucial factor. The reason they enjoy democratic freedoms, inconceivable anywhere else in the Middle East, and much of the rest of the world, has everything do with Israel being a Jewish State; Also an invincible Jewish state, militarily undefeated Jewish State at that. The young man is misinformed, bordering foolishness. Captain Jamall went further calling his community to demand revoking the mandatory conscription law for members of the Druze community. Some in the Druze community joined Captain Jamall in protest, seeing themselves betrayed by the new law. But in 1948, when the Druze leaders of that time committed to be loyal and committed citizens of Israel, they committed this loyalty to the Jewish State not to Syria or Lebanon!? So what is the brouhaha? The Basic Law declares: Israel as the Nation-State of the Jewish People defines Hebrew as the sole official language of the State, with a special status reserved to Arabic, the prime language of the Druze in Israel; defines that the State “will be open for Jewish immigration and the ingathering of Jewish exiles”; that the State views the development of Jewish settlements as a national value and shall act to encourage and promote the establishment and consolidation of such settlements. With the exception of the “demotion” of the Arabic language from equal to special-that has zero real application in the country’s daily life, as Arabic continues to have a prominent place in every relevant official circumstance, it would be rather interesting to know why the Israeli Druze community really feels that favoring Jewish immigrants, until now has been expressed by “The Law of Return,” makes them second class citizens?! Or that the state, which provides ample funding to Druze settlements, would now also invest heavily in Jewish communities? The unknown and sad truth is that Leftwing elements, such as the New Israel Fund (NIF), have been “working” the Druze community, pushing it towards collaboration with the Palestinian Authority and support for a Palestinian State. Captain Jamall’s rather inciting resignation announcement should be viewed as a reckless step, in breach of his people’s agreement with the State of Israel and the Druze community’s tradition of being loyal to the government of Israel or wherever else they may live, i.e. Lebanon, Syria. Unlike in Syria, no one in Israel will invite ISIS to come slaughter the Druze in Israel and kidnap their women, even if the entire community decides to resign from the IDF or end their conscription. But should the Druze decide to terminate their much valued and highly regarded and most appreciated contribution to the country’s security forces and the defense of Israel, this would weaken the Jewish State’s defenses, exposing the Druze, along with the Jews and everyone else in the country, to the harsh realities of a dog-eat-dog region. Take heed Druze. Perhaps, before the law was passed, Prime Minister Benjamin Netanyahu should have called in the leaders of all minorities to explain the law. The law the Left in Israel or abroad and the enemies of Israel would never approve or agree to because they could care less about Israel’s future. Take a heed everyone inside and outside Israel; your objection to the law is part of your objection to Jews having sovereignty and the right to defend themselves as well as being proud of who they are, the Jewish Nation, gathered once again, in the historical land of Israel, the 3rd Jewish Commonwealth, that began close to 4000 years ago.